- Fun, Bright Light Up LED Shoelaces! - Uses Fiber Optic Technology! - Shoelaces are 31" Long! - Glow Runs! Birthday Parties! Festivals! 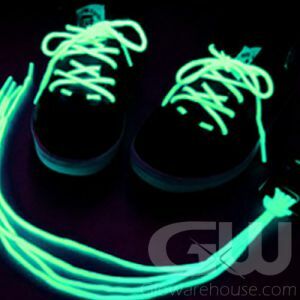 Step into fun with your new Light Up Shoelaces from Glowarehouse.com! Glowing Shoelaces light up with bright LED lights that glow along a fiber optic tube so it lights up the length of the shoelace! 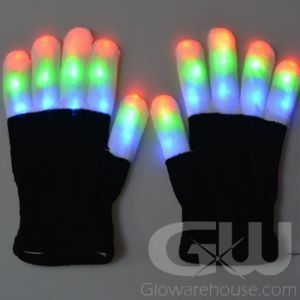 The perfect super fun glow in the dark accessory for Light Up Night Runs, Glowing Bike Rides, Festivals, Halloween and School Dances! 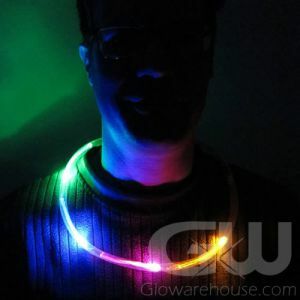 And the glowing shoelaces also make great gifts and fun glow in the dark birthday party favors. These lighted shoelaces are available in three vibrant colors which include Blue, Green and Pink. Each pair of LED Shoelaces has three light settings, fast flash, slow flash and steady light modes. LED Shoelaces are 31 Inches (78 cm) in length from end to end with the LED and Battery pack in the center. Every pair of light up shoelaces comes with CR2032 batteries (already installed) that are replaceable so you are ready to glow or run or bike or dance your way to fun!